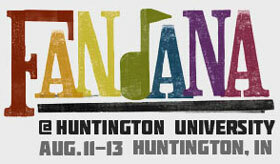 The first annual Fandana Festival is coming to the Huntington University campus on Aug. 11, 12 and 13. More than 30 bands will perform on multiple stages around campus, including Switchfoot, Sidewalk Prophets, Photoside Cafe, BarlowGirl, Stellar Kart, Josh Wilson, SevenGlory, Hyland, Red Umbrella, Attaboy and Me in Motion. The festival will also feature an indie band competition, seminars, an indie film component and kid-friendly activities including inflatable games. The fun will begin on Thursday afternoon with the biggest festival day on Friday. Fandana will run through Saturday with a smaller workshop component for independent bands as well as a praise and worship service that morning. Overnight lodging is also available in residence halls for individuals or groups. Meal plans and individual meals are also available. Tickets are $19 in advance or $25 at the gate for all three days. HU students are $5, children ages 6-10 are $5 and children 5 and younger are free. Groups of 15 or more are $15. Special rates are available for HU faculty and staff. “The Fandana Festival is a great ministry opportunity for HU and we look forward to watching the event grow over the next several years,” Berggren said. “I am one of the members of the board of directors for “Teams For Medical Missions” that provides spiritual and medical services for the poor in St. Mary, Jamaica. We are presently seeking an Executive and Associate directors to lead from our office in Macungie, Pa., due to the retirement of our present director effective February 2012. Could you please announce this in our UB family for me? For additional information about this ministry interested persons may visit t4mm.org. Al Carter has been appointed senior pastor at First UB Church in Columbus, Ohio, effective August 1, 2011. 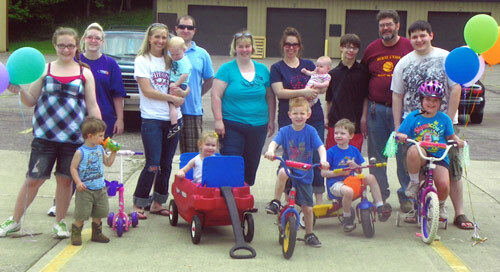 It was a nice cool morning for the St. Jude bike-a-thon at Lancaster UB church. We got the grills ready for hot dogs, put out balloons, and got ready for our big event to help children with childhood diseases. We raised $1,080 in 4 hours. The kids had a blast. We had a bike race, played with bubbles and chalk, had good conversations and eating, and most of all, knew that we can make a difference. Global Ministries has received a letter of resignation from Randy and Toni Fennig. The decision was not made suddenly, but as a result of numerous conversations, and dialogue between the Fennigs, Global Ministries and the Sierra Leone National Conference. Global Ministries acknowledges the ministry and investment Randy and Toni have made during their time in Sierra Leone. Since their appointment four years ago, they have worked on a number of experimental farming approaches, taught students at the Evangelical College of Theology and mentored a number of young adults and emerging leaders. The Fennigs will be returning to the United States during the month of August and will remain on support for a period of transition. During this time, they will be making contact with donors. As we have more information about this time of transition, we will keep you informed. Eldon Grubb has been appointed senior pastor of Pleasant Valley UB church (Lake Odessa, Mich.) effective July 17, 2011. 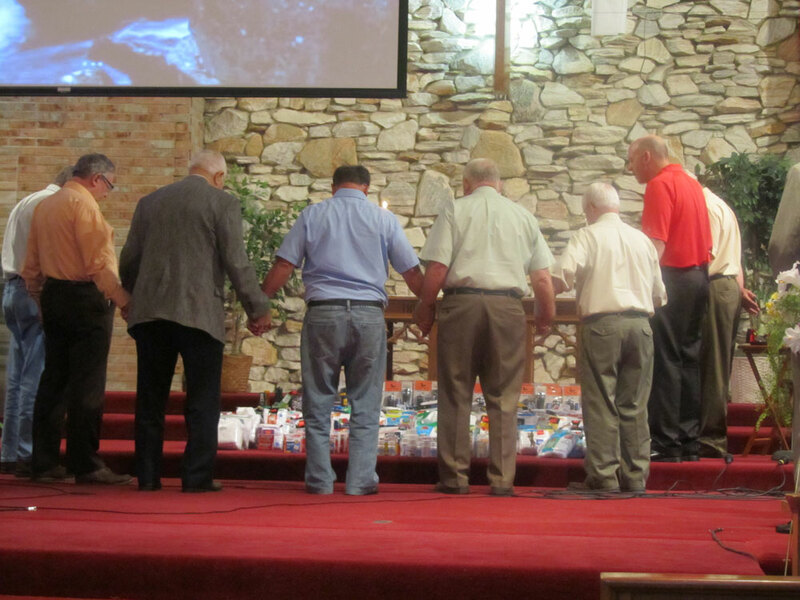 Bishop Phil Whipple attended the service that day to present a local conference license to Pastor Grubb. Paul Baty has been appointed supply pastor at Pleasant Hill UB church (Muncie, Ind.). Larry Mepham has been appointed interim pastor at Maranatha UB (Perington, Mich.), effective immediately. Mt. Carmel (Fulks Run, Va.). Mt. Hope (Carson City, Mich.). CH Global, one of the mission organizations with which we partner, recognized one of our churches on their website. 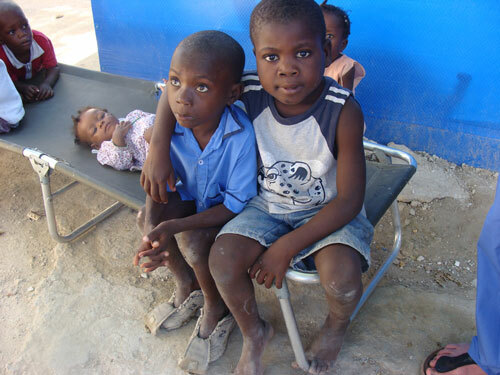 Coleta UB church, with just 35 people, is sponsoring 6 Haitian children through CH Global. Three of those children are sponsored by the church, and 3 are sponsored by individual families. Huntington University’s online degree in business administration as ranked 9th in the nation in the Top 10 Online Bachelor of Business Administration Degree Programs of 2011. The rankings, available online, were compiled by The Best Colleges, a publication that reviews publicly available data and produces rankings based on reputation, accreditation, student satisfaction, and cost. Huntington offers online degree programs through its EXCEL Adult Degree Programs and the graduate school. In March, The Best Colleges ranked Huntington University sixth in the nation for Online Christian Colleges & Universities for 2011. EXCEL offers online programs in Christian ministry, organizational management, business administration, not-for-profit leadership, and human resource management. Those programs are also offered onsite, along with additional programs in marketing, accounting, and nursing. Winners of the National Conference photo contest were announced during the Friday evening service. The contest tied into the camera-oriented “Focus” theme. The submitted photos were printed large and mounted in frames. Attendees voted on their selections throughout the conference. As it turned out, Fonda Cassidy won both first and second place. Both photos were taken during a recent mission trip to Haiti with Samaritan’s Purse. Fonda is from Mount Olivet UB church in Mt. 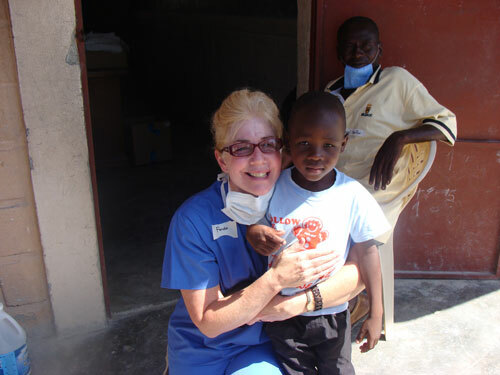 Solon, Va. Fonda, a nurse, co-leads (with husband Robert) the Honduras medical mission trip each year. Third place went to Aileen Jacobs of Lancaster UB in Lancaster, Ohio. A group of teens and adults from UB churches in Central Ohio is currently in Haiti. On Sunday, July 17, they worshipped at two United Brethren churches in Haiti. Here is a report from Dan Kopp (right), pastor of NorthPointe UB church in Lewis Center, Ohio. How far did you walk to church yesterday? In Pastor Richard’s church, it’s an average of 30 minutes. No parking lots necessary. The vast majority walk. Did we mention they start at 6 a.m.? A practical, yet admirable thing, due to the heat. But many walk back mid-day for afternoon or evening services that usually last a couple hours. Sunday school gets underway at 6:00 and the regular service around 7:00. We were at the mercy of the transportation arranged for us, so we arrived a little after the service had begun. They were already well into worship. High energy. Dressed to the nines. The Sunday service, like the Sabbath in the Old Testament, is TRULY the high point of their week. And it was most definitely a high point for us. A vocal team of 8-9 and a REALLY, really talented keyboarder and guitarist and drummer. The pastors spontaneously lead in worship at times as well. The offering is also high energy with a joyful praise song, and the folks spontaneously come forward–almost dancing as they place in their tithe. During the service we were greeted, as were a few others who stood during the service, with a beautiful flower pinned to our collar. One of the high points for our team is the opportunity to share our testimony. Each non-preaching member of the team was to do it at least once. It’s one of those GREAT “stretch me out of my comfort zone” times. I am so proud of how open, transparent, and God-used these times were. In this service we were blessed to share a puppetry that lived out the parable of the Lost Sheep. Rows of children spread out in front of the stage. We also shared a special, “Amazing Grace” in English. My wife’s husband had the extreme honor of sharing a message of comfort regarding the Suffering Servant, a Savior who truly understands life’s wounds.